Debates about profit-making in human services include a range of considerations such as access and equity, the idea of the "public good", and democratic participation. 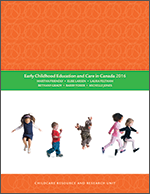 A main focus of debates about for-profit early childhood education and care (ECEC) in Canada has been the impact of profit-making on program quality. Quality is a salient consideration in child care; child development research shows conclusively that "quality matters": good quality benefits children while poor quality may be detrimental. Thus, research from Canada, the United States, New Zealand, the United Kingdom, etc. that shows significant quality differences between for-profit and not-for-profit sectors is of interest. This BRIEFing NOTE reviews the literature on quality in for-profit, non-profit and public child care.